Hello everyone! I hope you all are enjoying a beautiful weekend and happy Mother’s Day to all those special women out there. Today’s project is a quick one. This is the project I designed for the current UStamp Event – Classes, Clubs and Camps. If your interested in the full tutorial and many others, just click here to register for the event. Hope you enjoy! Here are all three pieces shown together. The colors are Bashful Blue, Certainly Celery, Perfect Plum and Marina Mist. 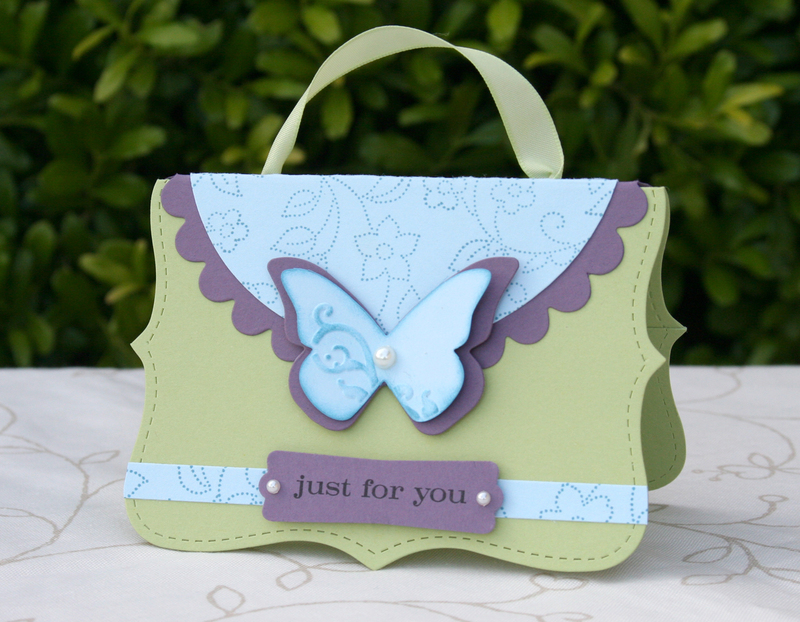 This is the card I made to match the bag. 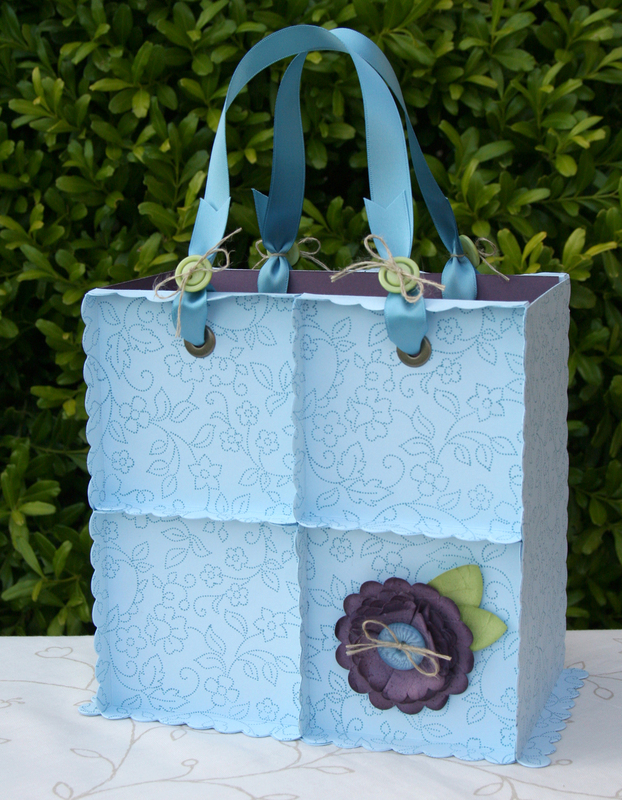 This is the main piece, a paper bag made using the scallop square die. It is a bit time consuming but worth every minute. It is roughly 8 inches tall and 8 inches wide. The last piece is a gift card holder. A small fold over purse with a pocket on the inside. 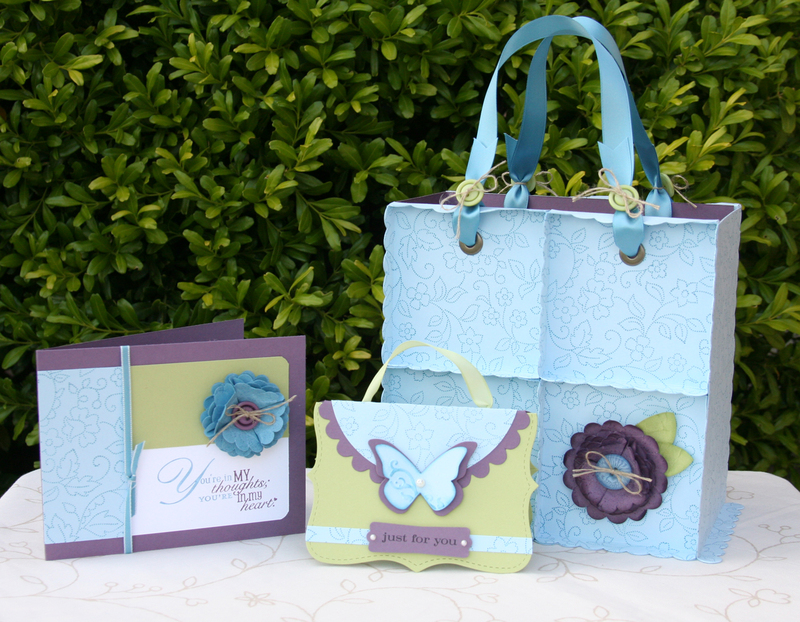 Well I hope these projects have inspired you to create something extra special for someone you care about.